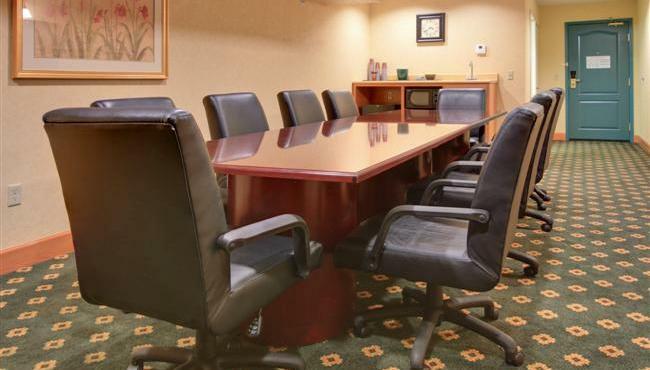 Let our friendly staff help you plan your next event at the Country Inn & Suites, El Dorado. 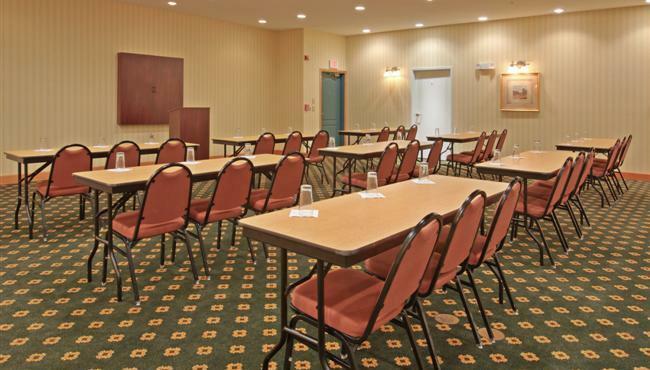 Our versatile meeting room can accommodate up to 60 guests and is perfect for birthday parties, bridal showers and more. Host a business meeting or conference in the boardroom with space for up to 12 people. Both event spaces include additional amenities like free high-speed Internet access, a flat-screen TV, a DVD player, a personalized Web page for your event and refreshments upon request. Be sure to ask one of our knowledgeable staff members for catering recommendations!